Many of you will be familiar with my love for Minki Kim's (@zeriano) work. I have long loved her Sewing Illustration and her fabric collections are so reflective of her style and flair. 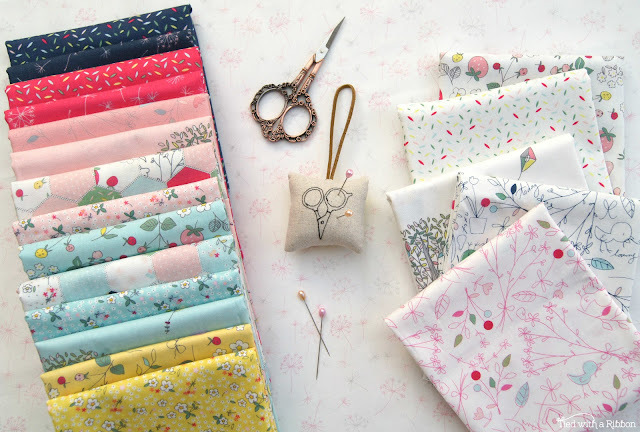 Today I am sharing with you here latest fabric collection for Riley Blake Fabrics called - Serendipity. 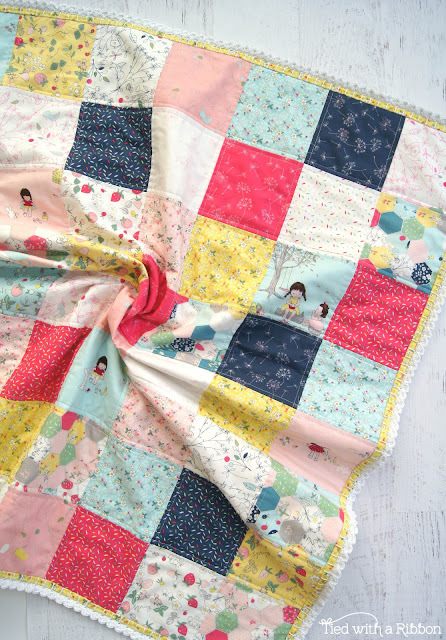 This collections features Minki's signature illustrations with absolutely gorgeous prints of little girls spending time under trees and having picnics. Along with a beautiful Hexagon "Cheater Print" with cute hexes all ready to go without the fuss of sewing them yourself. Sweet strawberries and Flowers together with cute Birds and Dandelions have you dreaming of childhood days. 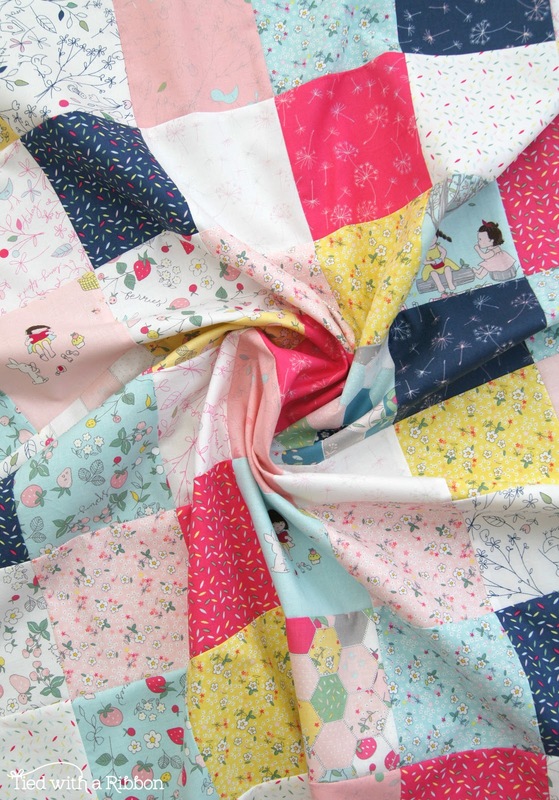 The bright colours in the Pinks and Blues absolutely compliment the Low Volume Prints perfectly. I knew straight away it was going to be hard to settle on making just one project with these beautiful fabrics - hence why I have made 3. First up I decided to make a Crochet Trim Blanket. With fabrics perfect for a little fussy cutting together with busier prints - this blanket meant that I could use every print in the range to make this Crochet Trim Blanket. 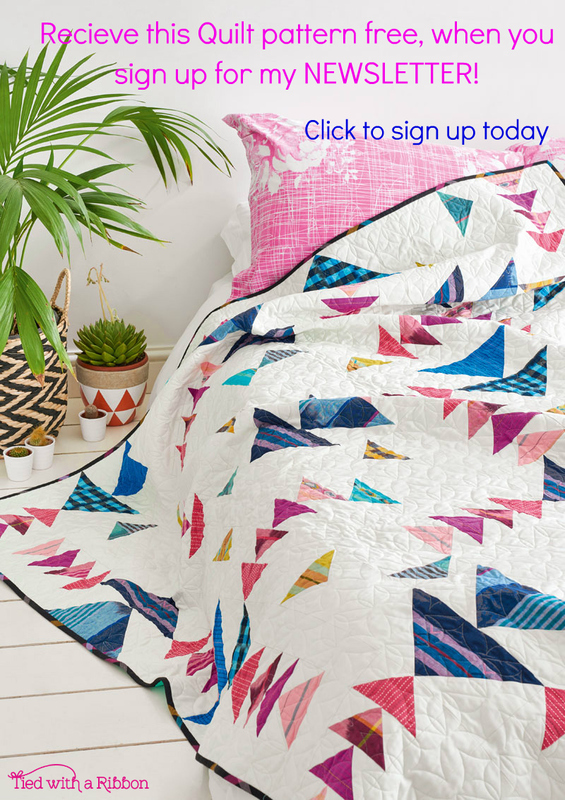 The beauty of this Crochet Trim Blanket is that the actual quilt is very simple to make which lets the prints shine and be the star. 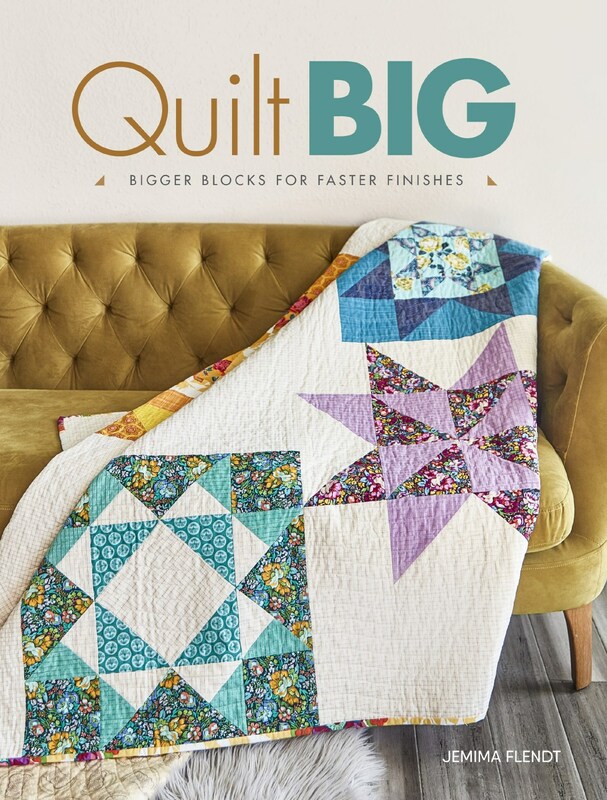 With some simple machine Quilting (using one of my favourite Aurifil Colours #2405 - Oyster) I was able to quickly sew this quilt all ready for the Crochet trim to be crocheted on. 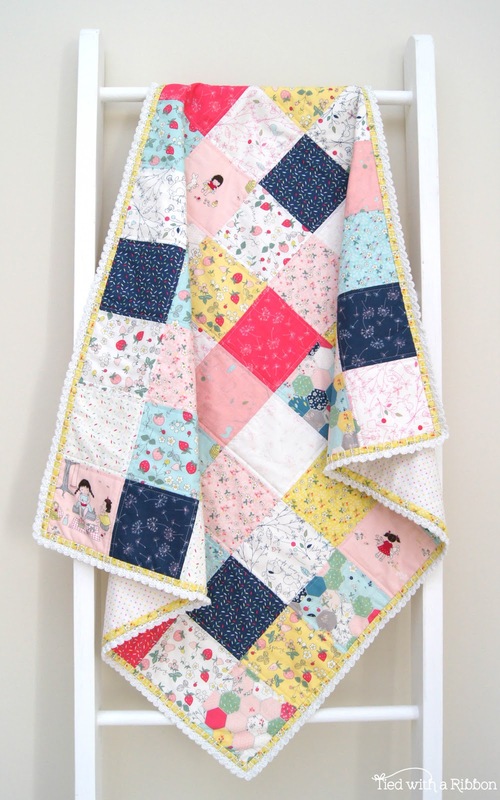 With the crochet trim on - this is such a sweet and cute blanket, perfect to make for a little toddler or to celebrate the arrival of a new baby as a gift. 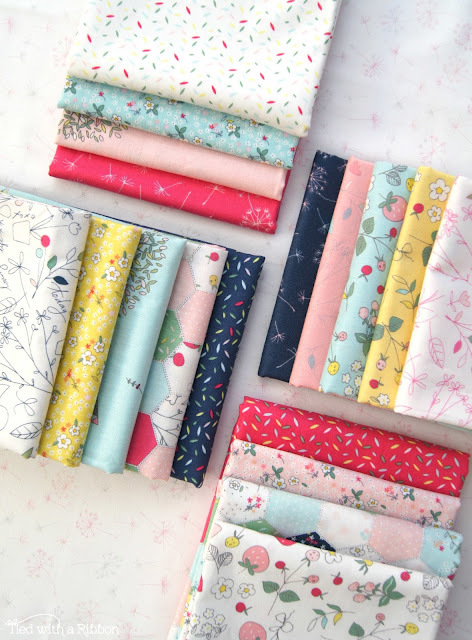 These Serendipity fabrics are just so cute. 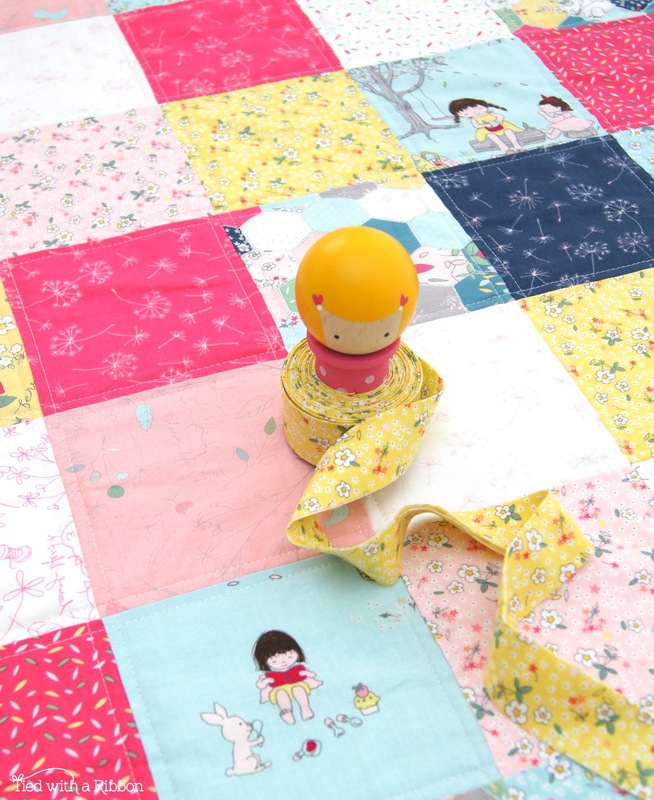 I told you these fabrics are cute - well how adorable does this PJ Pal look in Serendipity. I really love the Floral and Strawberry prints in the range and there was the perfect mix of colours to make this PJ Pal. 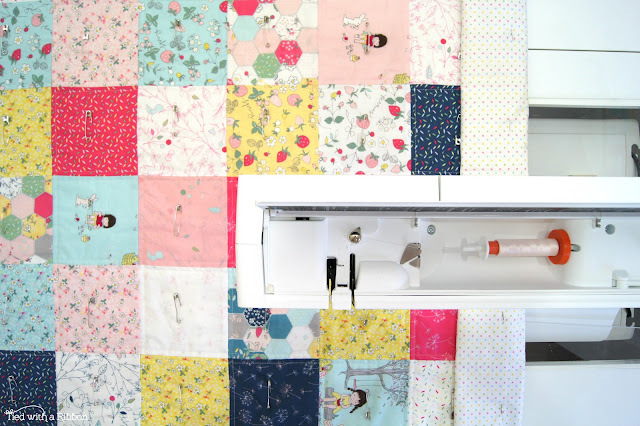 These PJ Pal's are the perfect place to keep the kids PJ's away during the day. 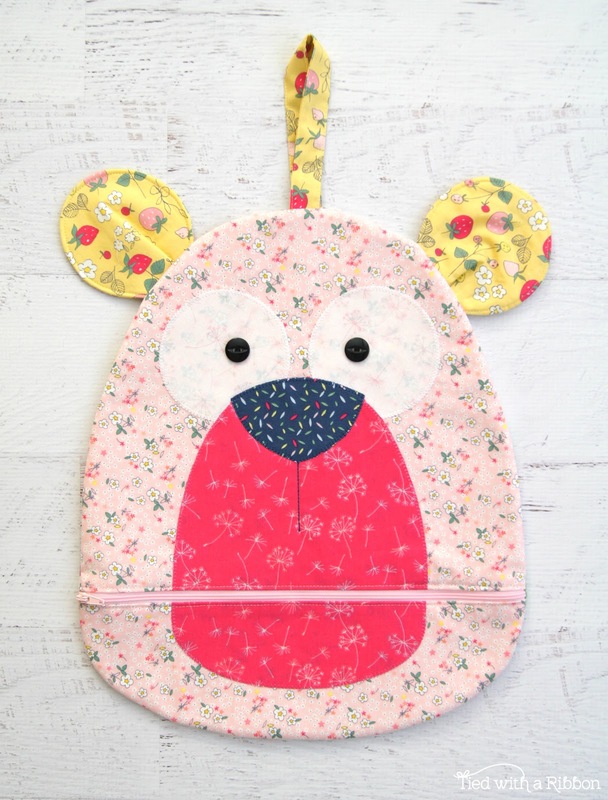 They won't be on the floor anymore, however tucked away in this cute Bear. 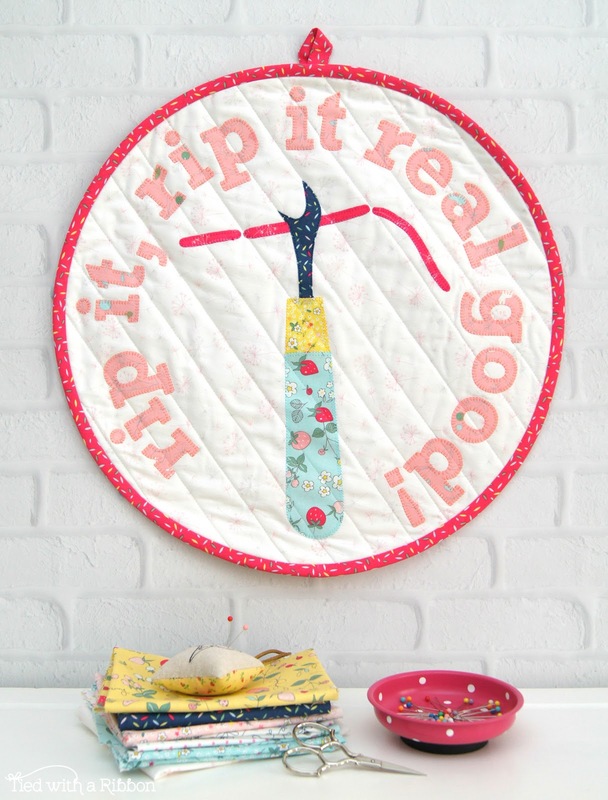 And lastly I had to make my latest pattern - Rip It Mini Quilt. I think of all the prints this stunning Dandelion Print in Cream that I have used for the background is one of my favourites. 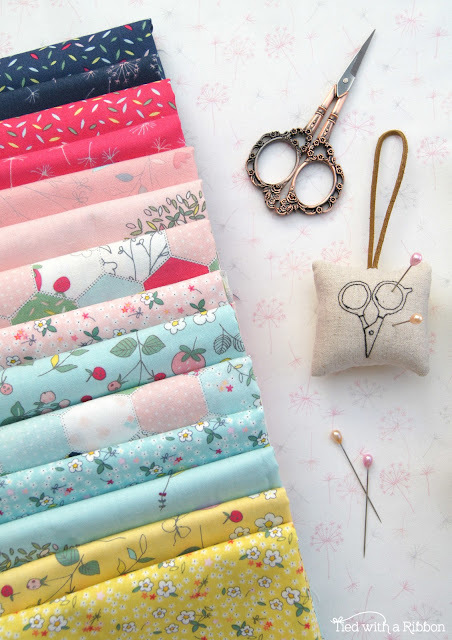 I am definitely going to be getting hold of more once this fabric range arrives in stores. This Mini Quilt is all about the "not so fun part" of sewing and quilting. Whether you call it a Seam Ripper, an Unpicker or Reverse Sewing it is defiantly one of the less joyful parts of sewing but means sometimes that is exactly how to get things right. 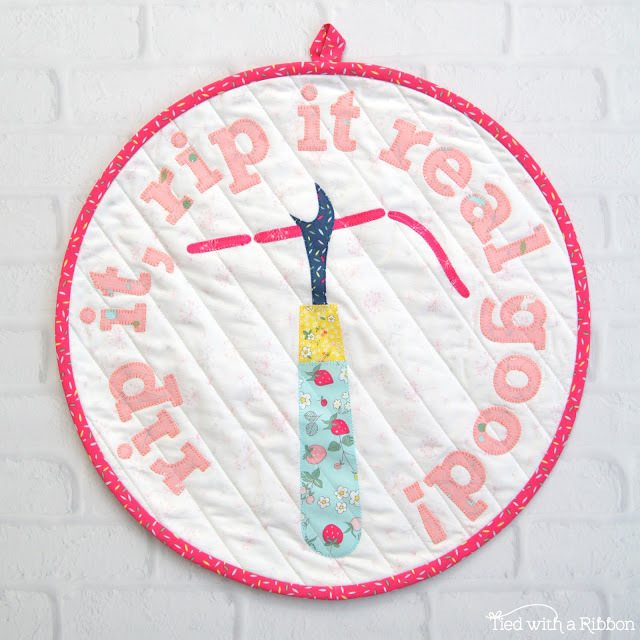 This Rip It Min Quilt is fun to make and I love how they show off these Serenditpty prints. Those Strawberries are another firm favourite of mine. 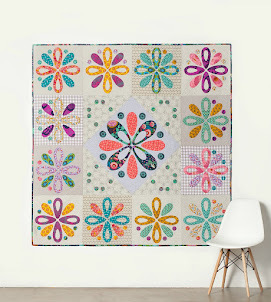 Minki's works truly stands out in this Quilting and fabric industry and I am proud to call her a friend. 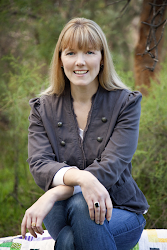 She is truly as delightful as her fabrics and Illustration works. Serendipity is shipping to stores now and definitely should be on your list. 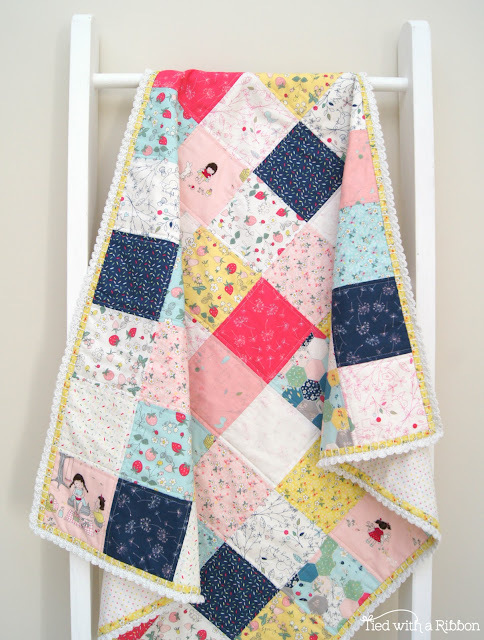 Lovely project with Minki's new fabric..always a fan of you both.